Linnaeus based this species description on the publication of Eleazar Albin. Albin based his illustration and text of this species on birds in the aviary of Grace the Duke of Chandos, James Brydges. 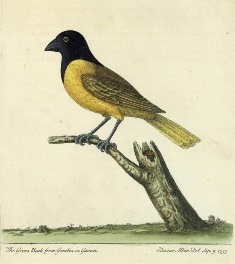 Albin, an English naturalist and water-colour illustrator, included a short text and copper plate engraving illustrations in his book "A natural history of birds", and Vol 3 contained the Yellow-backed Weaver. Albin called the bird Gamboa Groasbeak. 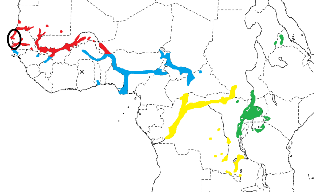 Linnaeus listed the type locality as Gvinea, based on Albin's locality of Gamboa on the coast of Guinea. There is a Gamboa in Angola, but Albin's locality probably refers to Gambia rather than Guinea. 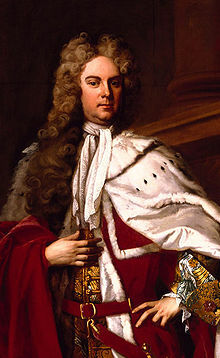 Unknown, sent to the Duke of Chandos in England. Before 1735, when Albin painted the bird (date on painting: 9 Sept 1735). No type specimens known to survive, but the painting of Albin serves as a type.